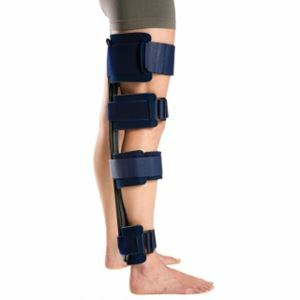 Aircast Knee Immobilizer by DJO Canada is used to stabilize knee using the full knee extension. Can be used with the Knee Cryo/Cuff with/without cooler to provide cold therapy to the knee in order to get relieved from pain. Ightweight cushioned straps for extra comfort.